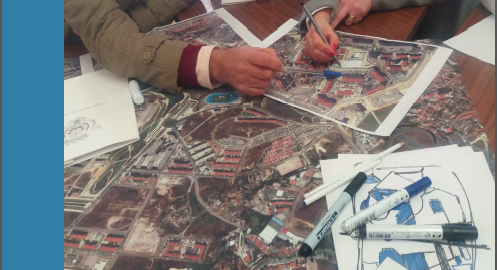 Lisbon CP-UDP Workshop – Security and Urban Planning. One of the objectives of the COST action Crime Prevention through Urban Design and Planning is to produce a series of publications and make them available to a broader audience. We are happy to present this time the workshop publication entitle: “Lisbon CP-UDP Workshop – Security and Urban Planning”. You can download it directly here or by visiting the download centre and searching under “results”. After a first exploration by the COST Action TU 1203 Core Group (October 2013) it was decided to organize a sophisticated multi stakeholder 4 days Thematic Workshop in Lisbon. The neighbourhood Alta de Lisboa was chosen as a case study of the Action and it became a frontrunner for the organization of the COST Workshop as foreseen in the COST Action Plan. The Workshop was held in February 2016 and the participants represented multiple backgrounds and perspectives. A split was made in two focus groups corresponding to each of the two pre-selected case study areas (Cruz Vermelha Neighbourhood and Vasco da Gama Fernandes Street). Methods in the Workshop were manifold: e.g. field trips, interviews to residents, map analysis, group discussions, presentations. The main goal of the Lisbon CP-UDP Workshop was to increase the technical expertise in the field of crime prevention through environmental design of a vast array of local actors and decision makers (e.g. municipality technicians and police officers). Consequently, it intended to raise bridges between planning theory and planning practice by encouraging the use of safety criteria on urban projects of municipal responsibility, thus laying the foundations for future regulations and helping to increase the sense of safety and quality of life in this neighbourhood in particular and in the city in general, with a special regard for more vulnerable social groups. This extensive report describes the roots and backgrounds as well as the process and output and outcomes. As it was meant to be: CP-UDP in action! 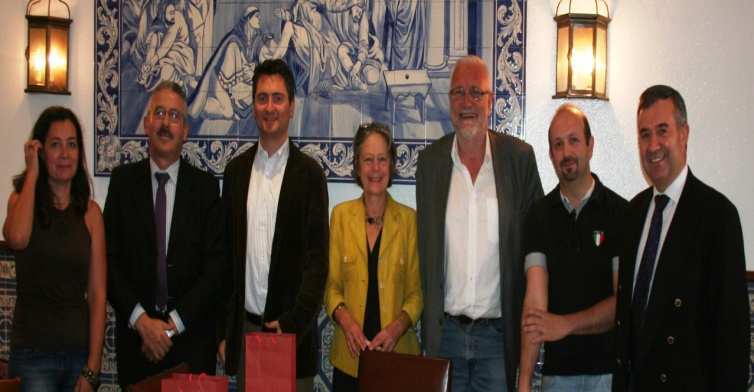 Clara Cardia (Italy), Sarah Chiodi (Italy), Mónica Diniz (Portugal), Bo Grönlund (Denmark), Ana Verónica Neves (Portugal), Umberto Nicolini (Italy), Miguel Saraiva (Portugal), Paul van Soomeren (Netherlands) and François Wellhoff (France).